The overall goal of this multi-cultural center is to provide a safe, healthy, caring, and stimulating environment for children. The environment is designed to meet the children’s emotional, social, physical, intellectual, cultural, and developmental needs. The program is oriented to the individual child and attends to the cultural diversity and differing needs, interests, and developmental level of the children served. Program staff foster a positive learning environment, demonstrate concern for each child’s self-esteem and encourage mutual respect among the children and staff. 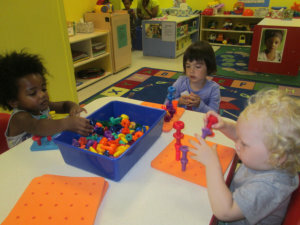 They also encourage the children’s curiosity and the exploration of their environment. Staff members are available to provide warm, supportive relationship on a one-on-one basis.